... before I crash and burn for the night. Which is going to happen all too soon... being on your feet all day teaching is such a great way to put yourself to sleep at night! Tonight after we ended for the day we went with some of the girls from Dubai and two of their advisors to see more of the city. We went to Dubai museum, which is in an old fort and shows a lot of the history of the city, via statues of people in traditional outfits (I ♥ wax museums!) 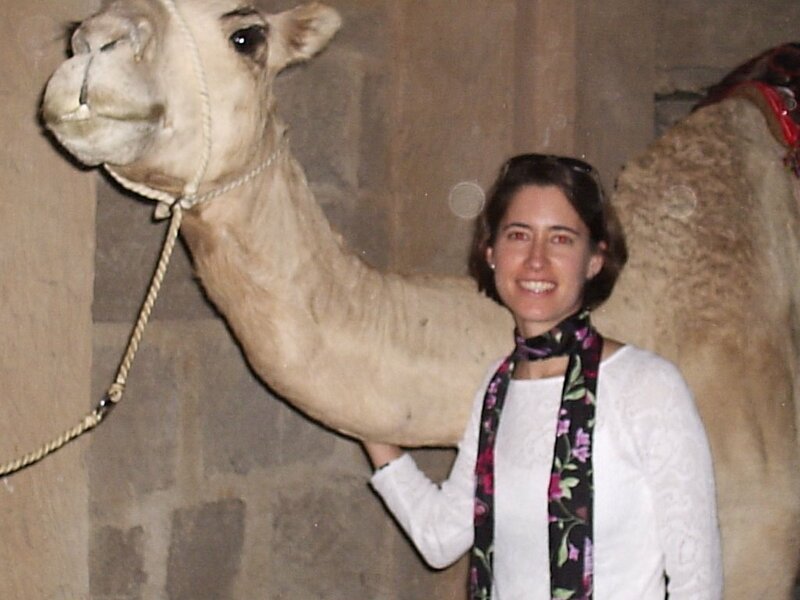 I took a picture of Beth being kidnapped to become a camel jockey (the jockeys in camel races are frequently kidnapped or sold into slavery from nearby countries) and bought a camel pen in the gift shop. Even though it had a lot of things that were *much* classier. 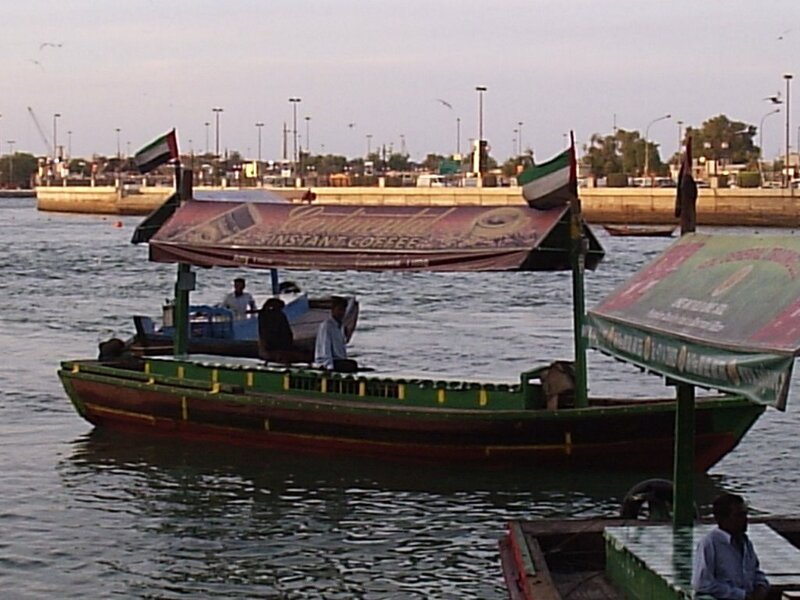 Then we rode a boat across the Creek, the major river that runs through the city and that made Dubai a center of commerce even before the oil days. The UAE is fairly unique in that all of the money that the country makes selling oil is divided up evenly among the citizens--even the small children have bank accounts in their names. (Or so I heard from someone on the plane with me) (Of course, only the Emirati, less than 20% of the population, are citizens) Talking to the girls on the bus, I learned that a lot of them come from familys that once were in the more traditional professions, like farming and pearling, up into their parents' generations. But now their fathers have given up those jobs to be bankers or work in the government. 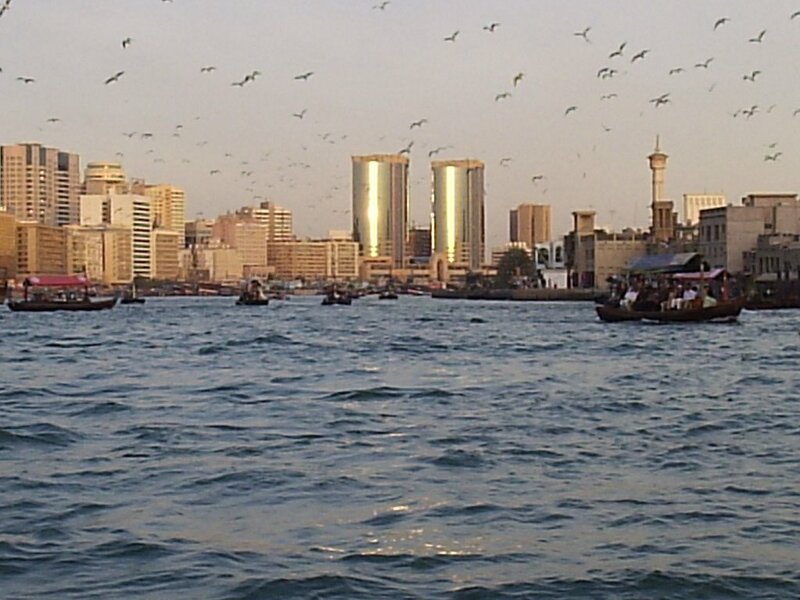 Dubai is so amazing, with the old and the new frequently side by side. 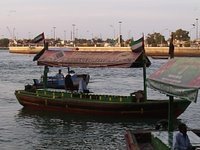 We rode across the Creek on what looked like traditional boats, except they had advertisements for products on the roof. Looking out, I could see the minarets that broadcast the call to prayer five times a day right next to skyscrapers. Then we went to heritage village, a more traditional suq, and had dinner at a lebanese restaurant. I had a fantastic meal, full of really interesting conversation with some of the girls and Katrina, one of their advisors, who is from Australia. 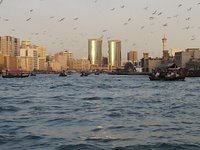 We talked about going abroad for education, and why different people move to Dubai, and some of the differences between being educated here, where the government provides free education, and in other places. and then FINALLY we came home for the night! Now it is time for me to run to my bed and sleep soundly until I get up, bright and early tomorrow morning!